Welcome to the Wicked Reads Blog Hop hosted by Hennessee Andrews! Because I like to keep hop posts short and sweet let get on with the giveaway so you can hop along! Enter to win a $5 Amazon eGift Card & a signed paperback copy of Falling (Negative Ion #1) by Ryanne Anthony to one winner (US only)! Plus, a second winner will receive an ebook of Falling (INT)! Find out more about Falling on Goodreads or Amazon. My favorite wicked reads are Bared to You (Crossfire, #1) by Sylvia Day, Wallbanger (Cocktail, #1) by Alice Clayton, and Release Me (Stark Trilogy, #1) by J. Kenner. I favorite wicked read is bdb books by j r ward. 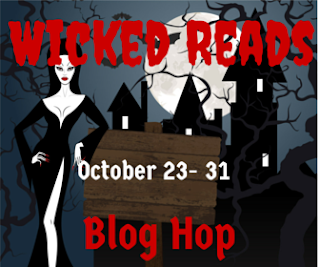 My favorite Wicked reads are anything by Jamie Begley, MM, Paranormal Dark Erotica.